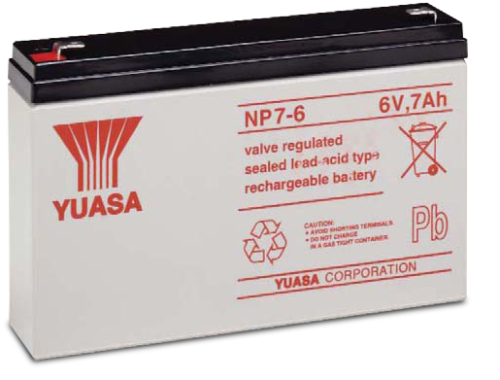 The 8219 provides a 6 Vdc 7 Ah sealed rechargeable battery. This battery is used in the rechargeable base of a CR23X, CR3000, or CR5000 datalogger. It is also included in the 8271 Sealed Battery Module for the CR9000(X)-series dataloggers. 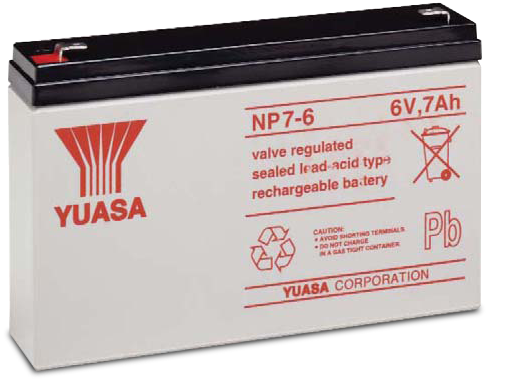 To provide 12 Vdc, two of these batteries are wired in series. For the CR9000X, four batteries are used to create a 12 V, 14 Ah source. For the CR9000XC, two batteries are used. Customers can generally replace the batteries.